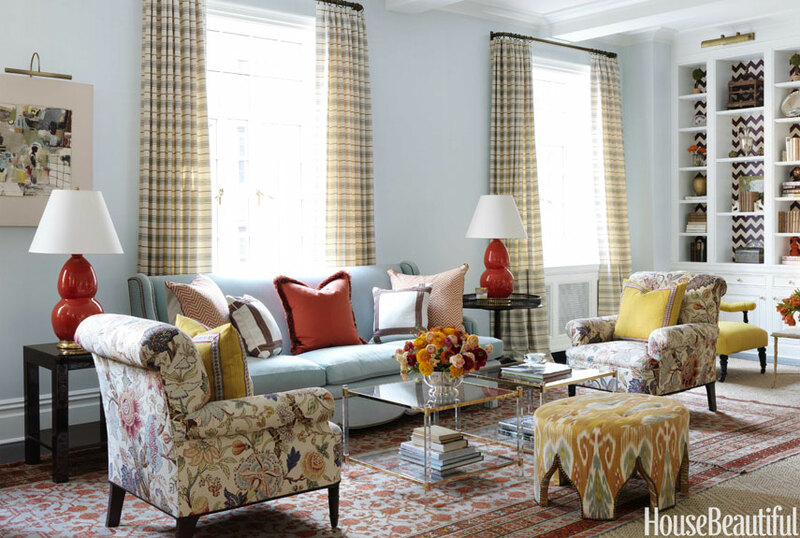 Mix and Chic: Home tour- A colorful New York apartment! 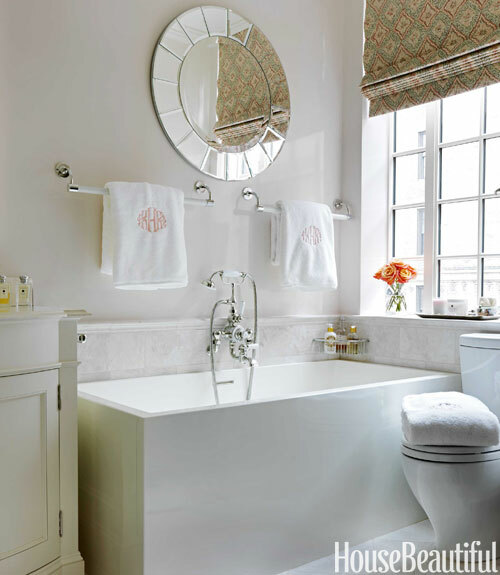 Designer Christina Murphy selected a vibrant, modern color palette for a classic prewar apartment in New York to keep it fresh and youthful. Let's take a look at this Park Avenue home below. What are your thoughts on this stylish and colorful home? Is there any details that catches your eye? 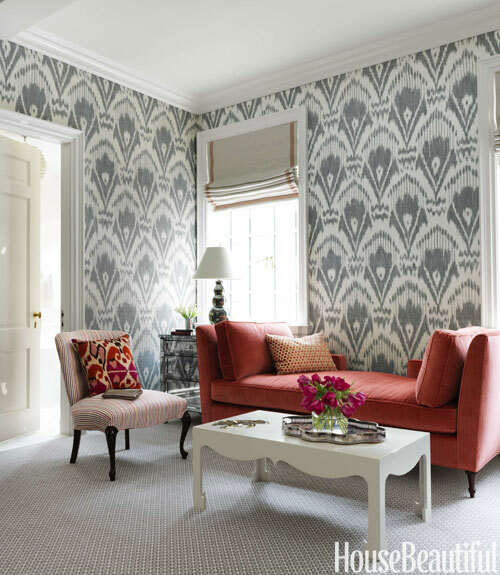 My favorite element is the ikat wallpaper in the bedroom and sitting area. 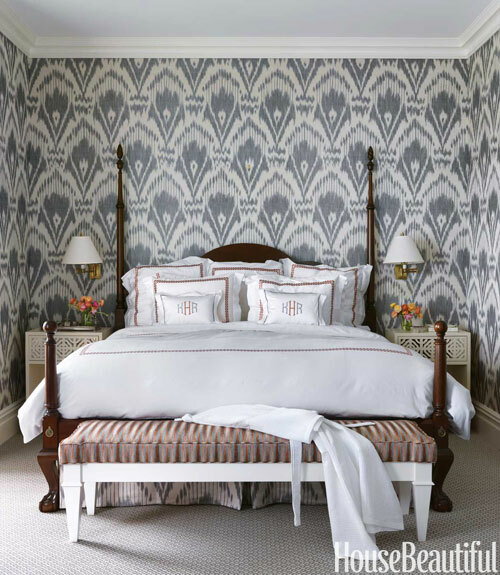 The den with the gray grass cloth wallpaper has me swooning too. How gorgeous is that tufted velvet sofa? That room is absolutely beautiful, timeless and sophisticated. Do you have a favorite room too? 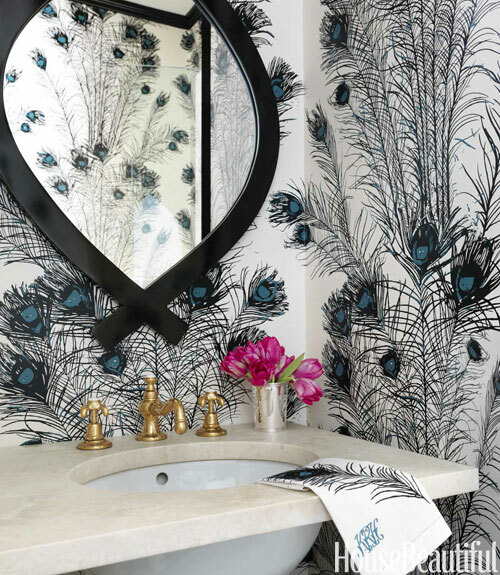 I am DYING over that peacock feather wallpaper in the bathroom, and the living room shelves backed with the chevron print!! love love LOVE!! 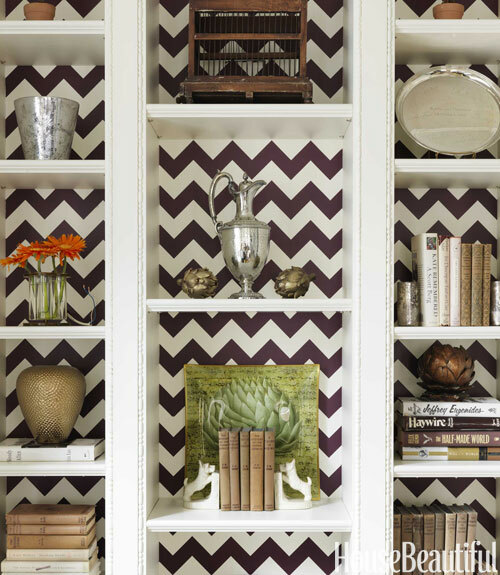 I agree with Brooke- my favorite part is the chevron lined shelves! What a creative idea! Love the tufted sofa and those chartreuse walls! Gorgeous! Green is my favorite color so I'm lovin the glossy green walls!! All pics look so pretty! Interesting mixing of colors and patterns! Oh my! Those lacquered walls! wowza! 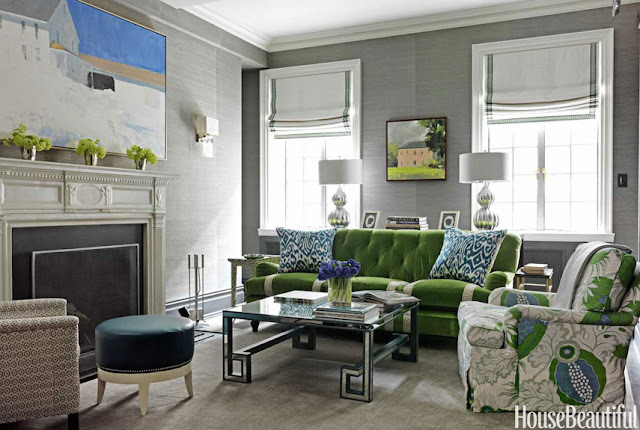 I love the wallpaper lined shelves and the gray grass-cloth wallpaper in the living room. What a great space. I love all of the color and patterns! Jessie - I just did a post on her this week. Love all of her work. the kitchen's my favorite, and i could live there! She is definitely one of my favs.....pinning!